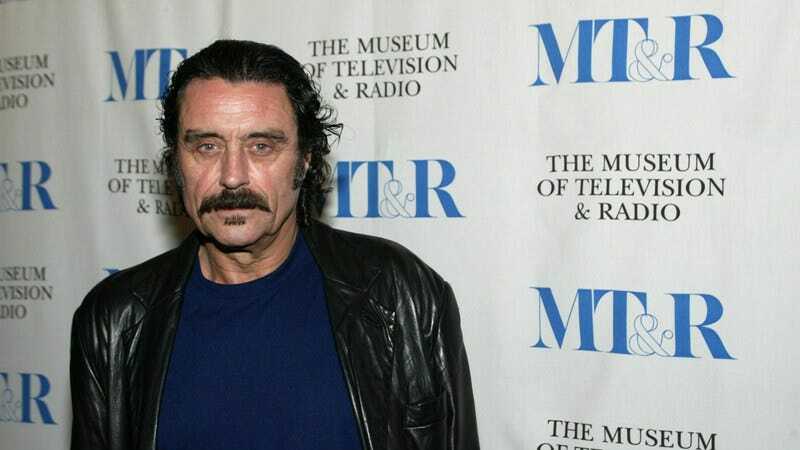 Progress on the much-anticipated Deadwood film is still moving slower than molasses in winter, or a cocksucker with a bullet in his leg, or any number of other frontier colloquialisms you might deign to apply to something moving too damned slow. HBO president Casey Bloys touched on the film’s status at the TCA press tour today, confirming that creator David Milch has turned in a “terrific” script, but noting that there are still a number of “hurdles” left to overcome before it can go into production. Per Deadline, it’s all going to come down, in classic Deadwood fashion, to money and people. Bloys made it clear that the network is still looking to assign a budget to the project—which would presumably serve as the grand finale to the critically lauded show, which went off the air back in 2006—and that Milch’s ability to promise the right price tag will be key in whether it gets the green light. There’s also the matter of the show’s disparate cast; while most of them have expressed a desire to return to Deadwood at some point or other over the last decade, it’ll still be a struggle to get Ian McShane, Timothy Olyphant, Molly Parker, and the rest of the series’ absolutely massive roster of characters all back in one place. At least they won’t have to build too many sets; the Deadwood stage is still apparently in place at California’s Melody Ranch (which also happens to be where HBO is currently filming its latest delightfully violent Western, Westworld).